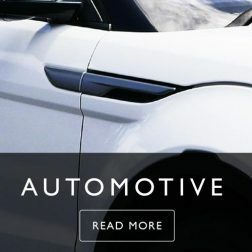 We design and manufacture for a diverse range of industries and markets including food manufacturers, and retailers, food service, automotive, commercial and industrial, electronics and electrical; and luxury gift packaging. 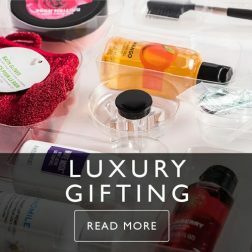 For protective packaging and presentation packaging for premium alcohol, cosmetics, beauty, cosmetics and more no design challenge is too great. Off-the-shelf packaging and custom-designed solutions are developed by our skilled design engineers and packaging experts in a variety of materials. Specialists in Food and Food Service Charpak has the highest grade BRC AA approval for food packaging and ISO 9001 – 2015 certification. 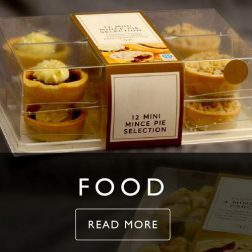 Rigid plastic packaging is available in a variety of designs, thicknesses and materials for ambient, chilled and frozen products across a variety of product categories including food-to-go, chilled desserts, bakery and celebration cakes, convenience and ready meals, chocolate and confectionery, cheese and dairy, fish and shellfish, premium alcohol and luxury gifting. 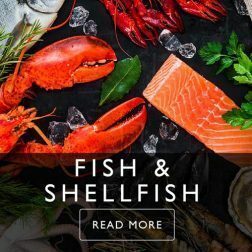 Whether you’re looking for premium product packaging to show off your beautiful food, protective packaging for delicate items, recyclable PET plastic pots, tubs, containers or transit trays from A-B, our expert team will be happy to assist. 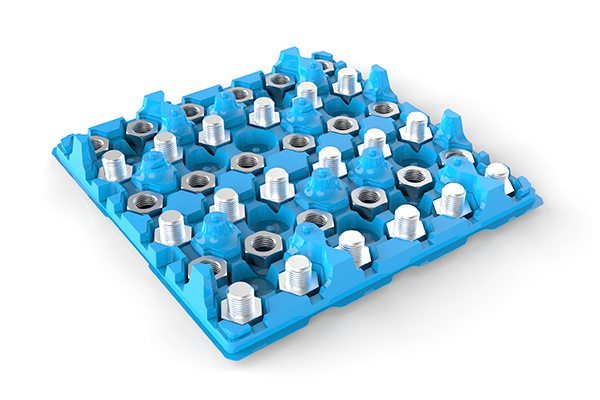 With modern manufacturing processes requiring trays to protect, locate, and transport products Charpak designs and deliver packaging solutions for automated production lines and hand-finished manufacturing processes. 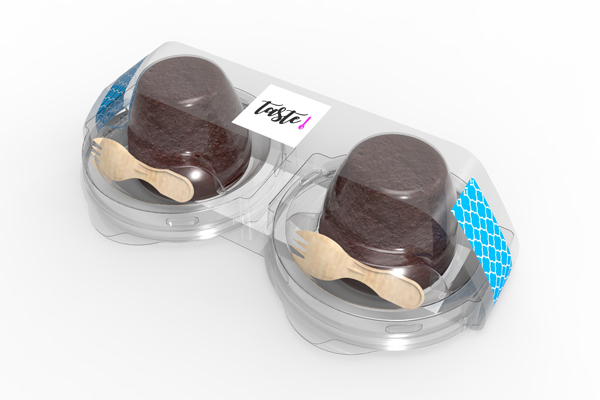 Charpak’s thermoforming products include plastic trays, pots and rigid plastic packaging containers in a range of recycled materials. 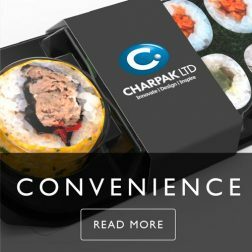 Contact our technical experts, design engineers and packaging technologists on 01480 434 434 or enquiries@charpak.co.uk to see how our award-winning team can help your business achieve its packaging and sustainability goals. "I must congratulate you for the exceptional standard of design"
"That's the first two fully modelled tray shapes now licensor approved. Feedback on the 3D cake moulds from the licensors is brilliant. Thanks for all the help with these!" "That's the first 2 fully modelled tray shapes now licensor approved. Feedback on the 3D cake moulds from the licensors is brilliant. The designers who developed the actual characters for the film think the cake is the best franchised on brand edible product they have seen. Thanks for all the help with these. Looking forward to plenty more on the horizon!" "Charpak Ltd worked closely with us and our automation partners to ensure the project was delivered on schedule. They enabled a seamless switch which worked from day one and their service levels meant that this was one of our most successful projects"
"I want to thank you all for your super service. Your people have really gone many extra miles to keep us on track and it is hugely appreciated. Please convey our best wishes and thanks to your team"
"I can only say thank you for your great support. You have delivered as always, and it has been a pleasure to work with an old and the new team, again!" "I can only say thank you for your great support. You have delivered as always, and it has been a pleasure to work with an old and the new team, again!"